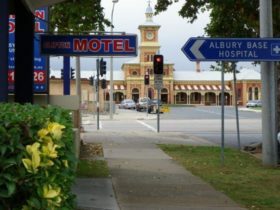 Whether you are in Albury for business, pleasure or just passing through, they would like to warmly welcome you to Seaton Arms Motor Inn. When you stay with them they want you to feel at home, to be able to relax and enjoy the quiet ambiance that Seaton Arms has to offer. 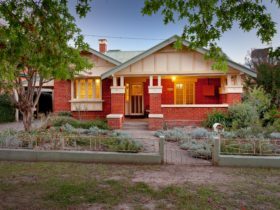 Whilst only a short stroll to the main street for shopping, cafes and restaurants or the cinema, a two minute walk to the SSA Club or a 10 minute drive to Wodonga, Seaton Arms is centrally located making many places easy to access. 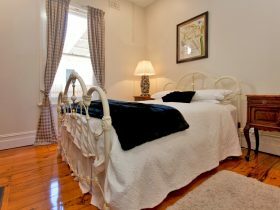 The units comprise of a two bedroom family room that can accommodate up to six people, a one bedroom family room that can accommodate up to four people, twin rooms or standard double rooms which can accommodate two or three people and queen or single rooms for one or two guests. The bathrooms are spacious with the showers having excellent water pressure. The Wifi is free and there is off street parking available on the premises. A room service breakfast is available to the motel units. Queen bed with sofa, suitable for the single traveller or a couple. 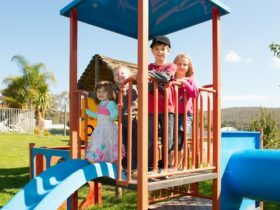 Complimentary water in the fridge, tea and coffee making facilities, microwave and toaster with cutlery and crockery on request, 32 centimetre LCD TV, split system air-conditioner / heating, iron and ironing board, extra pillows and blankets in wardrobe. All rooms are carpeted with tiled bathrooms. 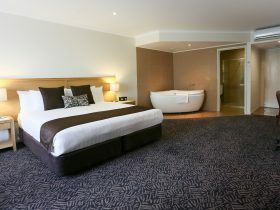 Ensuite includes complimentary soaps and shampoos and hairdryer. Subject to room choice, change and availability. 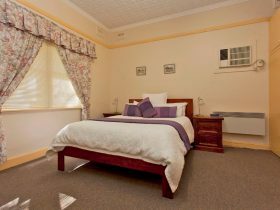 Extra person rate is AUD15 per night.